Yesterday the government announced the winners of the £60m Sustainable Travel Access Fund for 2017 to 2020. The fund details are here along with the criteria and application form. Thousands more people will be encouraged to cycle and walk to work thanks to a £64 million government investment, Transport Minister Andrew Jones announced today (26 January 2017). The funding will support local projects over 3 years from 2017 to 2020 and form part of a wider government package of more than £300 million to boost walking and cycling during the current parliament. There were 28 winning authorities. I’ve collated links to each of the bids. 25 were awarded funding from the Sustainable Travel Access Fund, and 3 were awarded funding from the Cycling and Walking to Work fund. Where I’ve not been able to find the bid, I’ve submitted Freedom of Information requests which are also linked. A spreadsheet with this data is here. (incidentally, the data behind the DfT cycling funding map is available on this Google Fusion Table here). This entry was posted in money on January 27, 2017 by Matt. A significant queue frequently forms on the A630 West Bawtry Road approach to the Rotherway roundabout in the evening peak period and at times this queue can be 600m long. This queue causes delay to traffic using the A630 and also causes issues with some drivers using an adjacent service road at inappropriate speed to cut out some of the queue. 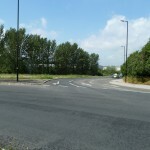 Consideration of the practicalities of the free flow and widening options shows that the preferred scheme is to widen the A631 West Bawtry Road approach from Canklow entry to the Rotherway roundabout and it is recommended that this scheme is progressed to detailed design and implementation. 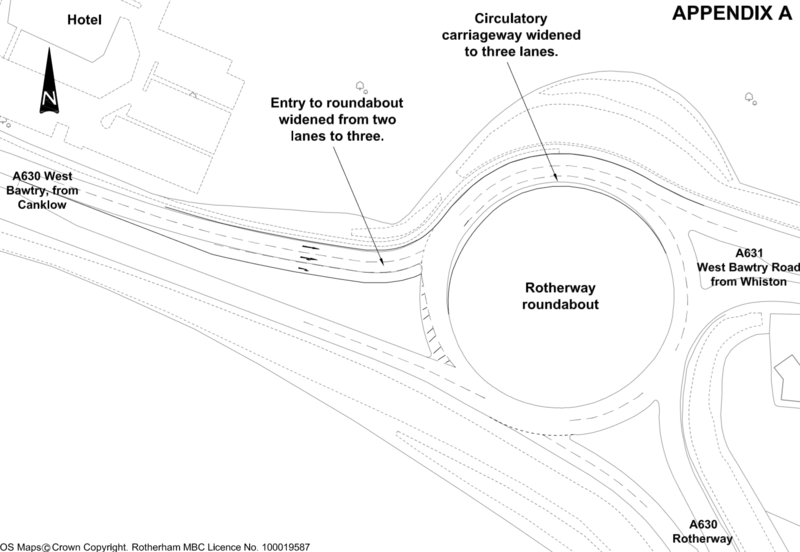 It is expected that by reducing the length of queues on the A630 West Bawtry Road entry to the Rotherway roundabout that traffic queues and delay would be reduced and that, together with the recently introduced traffic calming, would mean that drivers would no longer use the service road. This was approved along with the preliminary design below. 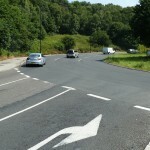 You can see on Streetview the construction works of the approach widening and the roundabout widening. There was already a shared use footway at the edge, that hasn’t been changed. This is what it looks like now. Is this a good way to spend £275,000 of LSTF money? I don’t think so! This entry was posted in lstf, money on July 7, 2015 by Matt. South Yorkshire Sustainable Transport Exemplar Programme – The biggest project in 2015/16 is a car park extension! You just couldn’t make it up. Does car parking really count as sustainable transport? The Sheffield City Region Growth Deal includes a ‘Sustainable Transport Exemplar Programme’ with £16.3m investment for five years from 2015/16 to 2021, with £3.3million in the first year. The list of schemes funded in the first year has been announced and include things like bike paths and pedestrian crossings. The largest scheme though, at £670,000, is a “Meadowhall Car Park Extension”. You read that right, a car park extension. 19% of the annual sustainable transport exemplar programme budget this year is being spent on a car park extension. This money could pay for significant amounts of bike paths, cycle parking, reducing through traffic, 20mph zones etc. etc. etc. This year the Sheffield budget for 20mph zones is £400,000, the budget for this car park extension is £670,000. I’m appalled. Follow the money, and it’s clear what the true priorities are for transport spending. Schemes announced at Monday 16th March meeting of Sheffield City Region Combined Authority Transport Committee. This entry was posted in 20mph, budgets, council, cycling, money on May 2, 2015 by Matt. 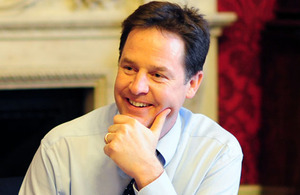 Today Nick Clegg, MP for Sheffield Hallam has announced £500,000 for cycle infrastructure in Yorkshire. 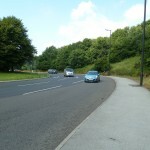 The Deputy Prime Minister has also announced £500,000 to improve cycling facilities in Yorkshire. The investment will contribute to constructing a number of cycle circuits across the county. Every year each circuit will support 10,000 competitive and recreational cyclists who want to take part in the sport away from traffic, with access to the best support facilities. Is this enough money? Given that the population of Yorkshire is 4.9million and the Get Britain Cycling Report recommended we spend £10 to £20 per person per year, Yorkshire needs to invest £49,000,000 per year. £500,000 over two years is clearly not even a drop in the ocean. It represents just 0.5% of what we need to be spending. It seems that most of this money will be spent on leisure cycling, rather than in investing in creating pleasant towns and cities where people can get around by bike. This entry was posted in money on February 17, 2015 by Matt. Never ever believe anything from Sheffield City Council without double checking the facts and confirming it for yourself. 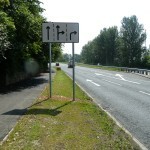 Case in point, the Penistone Road Pinchpoints scheme. We’ve been lead to believe that funding was restricted to reducing congestion for motor transport and could not be spent on cycling or walking. This is not true and these statements were extremely misleading. The motor centric nature of transport planning in Sheffield is deeply entrenched and needs to be challenged at every opportunity. Investment need not be restricted to roads and can include investment in cycling and bus infrastructure to help reduce congestion on road networks and/or demonstrate the links to growth. John Bann responded that he took on board all the points raised in relation to cycling and pedestrian facilities. 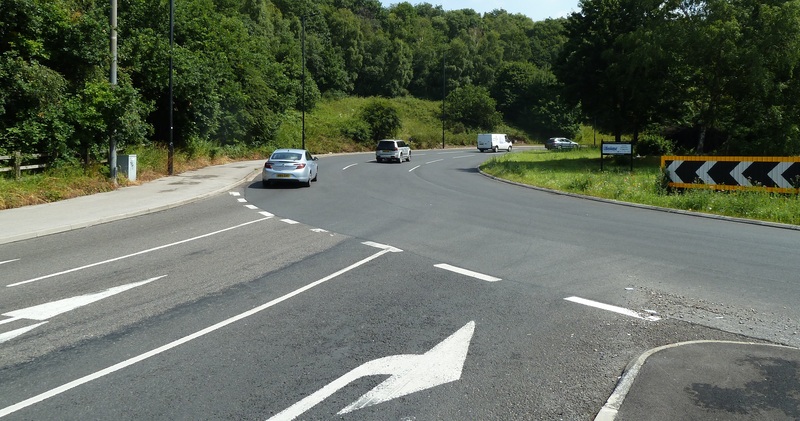 The scheme was possible because of funding from the Government specifically targeted at easing congestion through easing the traffic flow and helping bus services. Councillor Leigh Bramall commented that part of the problem in relation to the objections raised was around the way that the funding came through and what the Government required it to be used for. 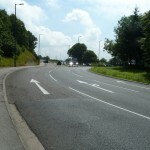 Improving bus times and viability was a crucial element to the scheme as, after the Parkway, this was the major traffic corridor into the City. It isn’t the perfect cycle orientated scheme but it was never going to be-the funding restrictions saw to that for a start. This entry was posted in money, Penistone Road on November 17, 2014 by Matt. Last week the draft Local Transport Plan spending plans for 2015/16 were presented to the Highway Cabinet Member Decision Session. The headline is that the transport funding allocation is being slashed by 40% and cycle funding is dropping by 25%. LTP funding has been diverted away to the Growth Plan Fund by central government. This fund builds large infrastructure projects designed to deliver economic growth (with no other considerations like health or environmental benefits). An overview of the cycling projects for the past few years is below. *Note* This is Local transport plan spending only. Other grants such as LSTF, Better Buses, Pinch Points are not included. Quesion: Why is funding for signage increasing 4 fold from £10,000 to £40,000 per year? On a related note, this year sees the end of LSTF funding (and South Yorkshire seems to be struggling to spend all the money). Next year we’ll see a new funding source from the Local Growth Fund – the ‘Sustainable Transport Exemplar Programme’ which will spend £3.3m in 2015/16 and 13.0m in the following 2 years. This is a South Yorkshire funding stream, it’s not clear how that will be divided between the local authorities, or what it will be spent on. If we look at this year’s Sheffield LSTF capital expenditure, £360,000 is for cycling out of £2,000,000, 18%. And Sheffield’s share of LSTF overall is perhaps, I’m guessing, 50% of the South Yorkshire spend. That will add £297,000 in 2015/16 and £585,000 each year for the following years in cycling capital expenditure. This entry was posted in council, money on September 14, 2014 by Matt.